Just like everyone else, we hate slow websites. And just like everyone else, your site is probably running WordPress. There’s a few key things that you can do to make WordPress faster. They’re a little bit technical, but most of them are pretty reasonable to do. Alright, here we go! So you’re probably thinking, “What the heck are those?! You said this wasn’t going to be too technical.” PHP is the programming language that WordPress is built on. MariaDB is a database that stores all the stuff you put into WordPress. PHP7 (and 7.01) is the latest and greatest version of PHP. It has a lot of new features, but the one we care most about is SPEED! PHP7 runs up to 2x faster than the previous 5.6 version! With a rapidly increasing number of mobile users, your website speed is more important than ever! Use PHP7 or 7.1. Zend put together an awesome Infographic showing the amazing performance of PHP7. MariaDB is a fast Database engine. You’ve might’ve heard of MySQL, it’s what WordPress typically runs on. MariaDB is a faster Database Engine that works great with WordPress. Because WordPress uses a database, using MariaDB can make WordPress Faster. Okay, so if this all seems intimidating so far, don’t worry. Your web host should be able to switch your site over to PHP7 with the click of a button. If your host doesn’t offer PHP7, you should definitely begin hunting for a better more current host, (shameless plug) like Sierra.host! For many, there’s a lot of tinkering involved when they build their WordPress website. Tinkering often looks like, installing and uninstalling a few themes and then doing some experimenting with plugins. Sometimes tinkering is a little less obvious and happens over the course of years. You switch plugins, but then have that one thing you just LOoooOOoove about a plugin and can’t let go of. This type of very random plugin usage can have a major negative impact on the performance of your site. A common thing we see is having 3 slider plugins, 4 or 5 security plugins, a few more form plugins and so on. I know this is a little easier said than done, but you really need to narrow your plugin usage to a single plugin per function. Pick your Slider plugin, and be done, stick to it for your whole site. Do some real research on your security plugin(s) and stick to them. If you find two plugins that have mostly overlapping functionality, pick one and delete the others. TLDR: Delete your plugins that are deactivated, duplicate functionality with other plugins you’re using, get rid of plugins that aren’t being maintained by their authors. Tip: Try and keep your site to less than 20 plugins. 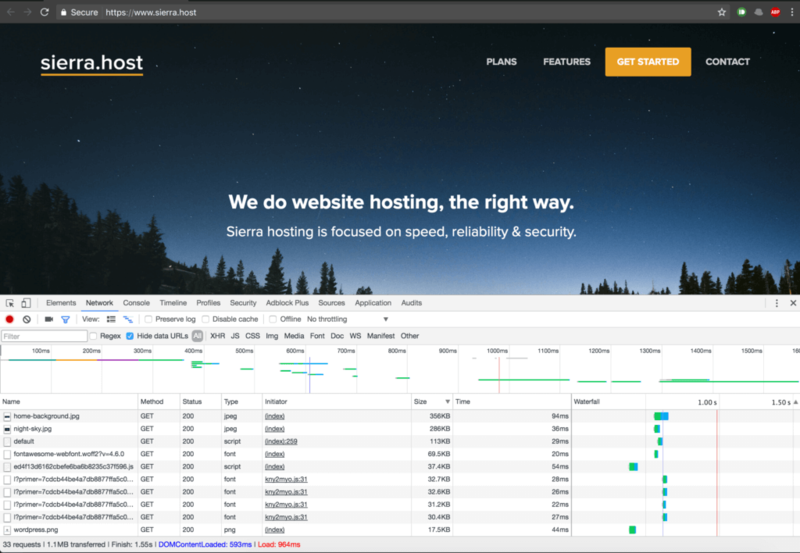 20 isn’t a magical number, but sites with much more than that tend to have performance issues because often conflicting plugins start to get introduced in higher ranges. You can see our WordPress essential plugins list here. If you go to Google and search for something like “WordPress Business Theme” you will literally find thousands of results. That’s both really good and really bad. It’s good because you have every option under the sun. It’s really bad because the quality of those themes can vary wildly. Quality to us means the efficiency of the code and how it utilizes your server resources. Also related is how well the developer has considered ease of future upgrades. If you do some browsing around the WordPress community, you’ll come back to a few main theme developers over and over. The average phone camera takes pictures at 4K quality. 4K quality is 4x the quality of HD. Phones take HIGH quality pictures these days. While this is awesome, it also means that if you upload pictures to your website without any optimizing, your audience is going to suffer from a pretty slow site waiting for these pictures to download. Our best recommendation is to use an appropriate size image for where you’re using it. Here’s how to do that. 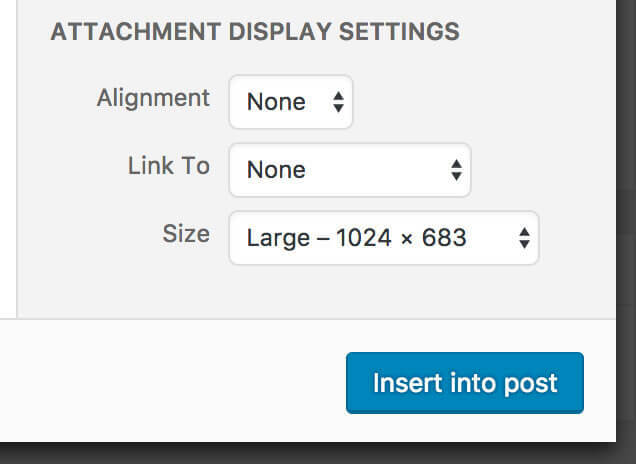 WordPress automatically creates multiple image sizes for you when you upload images. It does this so that you have options for big and small images, but it also does this so you can choose an appropriate size for where your image is being used. I recommend not using the largest image just because you can. If you’re not sure which image size to use, use Large or Medium. When you shoot a picture with your phone or camera, they are coming in at the highest possibly quality. They usually haven’t been optimized for speed. There’s quite a few tools out there for compressing your images and reducing their file size. We wrote a full blog post about Image Compression, you can check out the whole thing here. TinyPNG – There’s a service and a WordPress Plugin, both are awesome! So if we’re going to be technical about it, resizing images doesn’t make WordPress faster, but it will make your website faster. There’s a reason we are writing about caching last. Caching, is often looked at as something you can magically throw onto your website to speed it up. I’d agree that it often is magical and can do that. In fact i’d go as far as saying it’s often the single thing you should do to make WordPress faster. However, there’s many things outside of caching that we mentioned above that you should first take care of for the long term speed and health of your website. Caching is simply a mechanism whereby you can take something that is dynamic and make it static. Your WordPress website is dynamic. This means that it runs from a database and can be changed at anytime and those changes will be reflected in real time to your visitors. In theory, this is amazing and what you want. However, what this means is that each time someone visits your site, the database is called and a webpage is created on the fly for them to see. A dynamic website is kind of like printing a brochure one by one only on demand; anytime someone wants it. It’s great from a customer service and cost efficiency perspective but very quickly becomes a bottleneck if you have thousands of people asking for the brochure at the same time. Caching in essence creates a static file that gets served every time someone visits your webpage. It’s the same file for everyone everywhere. The only time this changes is if you make an update to your website at which point the file for that page gets destroyed and a new one is created with your latest changes in place. By creating this static file it means that there’s no database load, and there’s no new page getting created each time someone visits your site. How do I get Caching running on my website? WP Rocket – WP Rocket is a paid plugin that really makes caching easy. It’s blazing fast and efficient! View the source of this page, we use it! Best $39.00 you’ll spend! WP Fastest Cache – This is our favorite free Caching plugin. It’s easy, you essentially just turn it on and tell it when you want it to create new pages. There is a premium version. We’ve never tried it, but it looks like it does offer some great features that would put it closer to WP-Rocket in terms of control. WP Super Cache – It’s pretty fast and pretty easy. Hopefully we’ll get to blog about each one of our 5 points in glorious detail in the future! There’s a lot of work that goes into making your webpage faster. We hope you find the time you spend making your website faster worth it! If you have more questions, we’d love to help you out. Drop a comment below. Don’t be upset if we try and get you to switch to Sierra.host, we have really spent a lot of time fine tuning and improving our servers to squeeze out the speed from websites. Be sure to switch to the Network tab in the inspector. Hold down the shift key and refresh the web page. This’ll load the page uncached and force all the images and elements on the page to re-download. What the Network tab shows you is the chronology of the page parts loading, their size and the time it took to load each element. This is really helpful in trying to find any offending parts of your page that might be causing slowdowns. You’ll see in the screenshot that I sorted by size. It shows me opportunity for image compression, resizing or even removing. I still have some work to do as you can see, but we’re getting closer to sub 1 second load time. As we mentioned already, we’d love to hear from you, please leave a comment below. Yes, there are cool ways to make WordPress website faster. You should follow theme. Extremely well written. Excellent guide for beginners to improve the work performance of a website. Thanks for sharing great stuff like always. I also recommend the plugin – Plugin Organizer. It lets you choose which plugins to load by page or post. This helps a ton with page speed when you don’t need most plugins for most pages.